From Phatthalung, take Highway 41 to Pa Payom District and turn left to Highway 4270. Continue on the road by following Nan Mot Daeng signs for about 9 km. 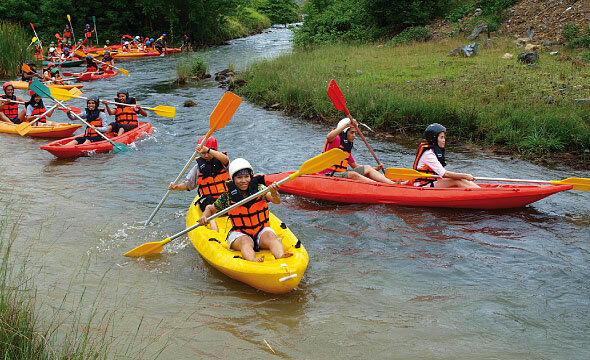 Kayaking in Nan Mot Daeng is the newest holiday activity in Pah Phayom district, Phatthalung province. 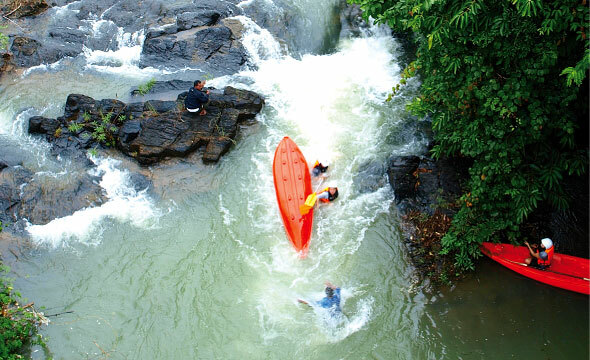 Before the adventure starts, paddlers will be trained about a rafting route, paddling skills, how to read the currents, regulations and safety measures. The launch point is at Huai Nam Sai Reservoir. The rafting distance is about 6 km, taking 2 hours in total. Paddling along a rather narrow stream through over 40 rapids with the difficulty at Levels 1-3, the most notorious rapids here are “Kaeng Lung Chuan”, “Kaeng Song Phi Nong”, “Kaeng Mot Daeng”, “Kaeng Yao” and “Kaeng Mai Pai” where is used to measure a paddler’s skill. 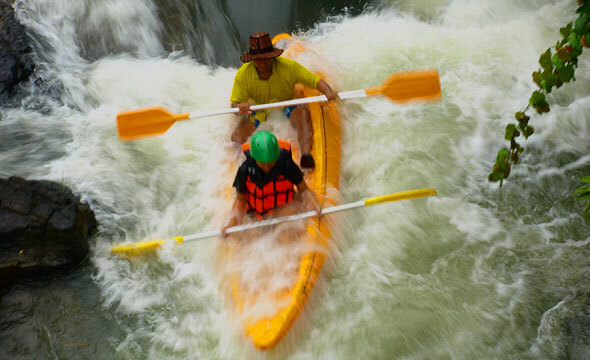 As there are strong currents flowing down like multiple steps of a waterfall, whoever passes this point without their kayak being flipped upside-down is considered a skillful kayaker. 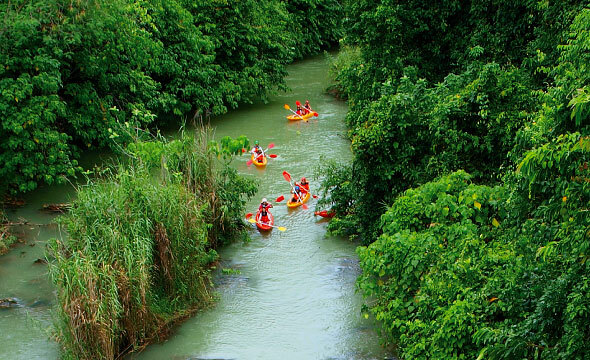 Both sides of the canal are abundant with natural splendours – numerous kinds of flowers and local birds. The water is so cool and crystal clear that schools of fish and seaweed are visible from above the water. After the kayaking thrill, you can relax your muscles in the herbal steam room, the favourite activity for working and older adults.